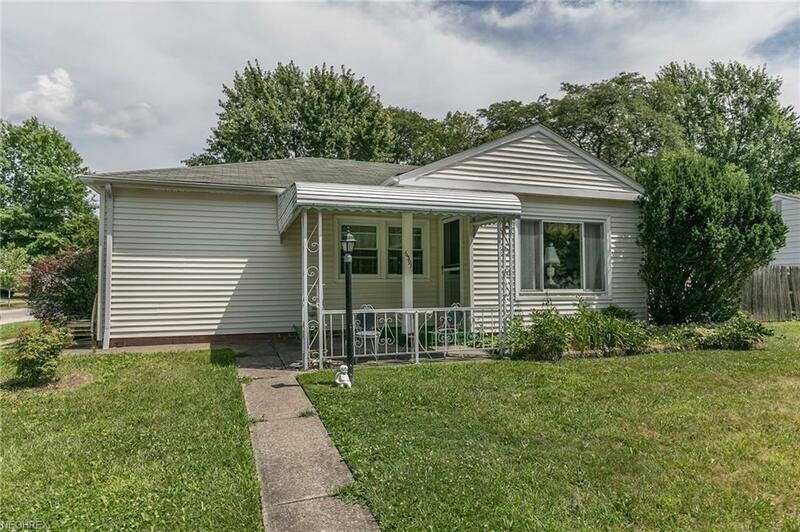 Welcome home to this ranch on a desirable, well-maintained, quiet street in Parma Hts. It is near city services, schools, and shopping. The large eat-in kitchen boasts oak cabinets, ceramic tile floors, plenty of storage, and all appliances remain. There are 2 full baths & a large laundry room. The toilet (in main bath), along with the boiler mechanicals, have been recently replaced. 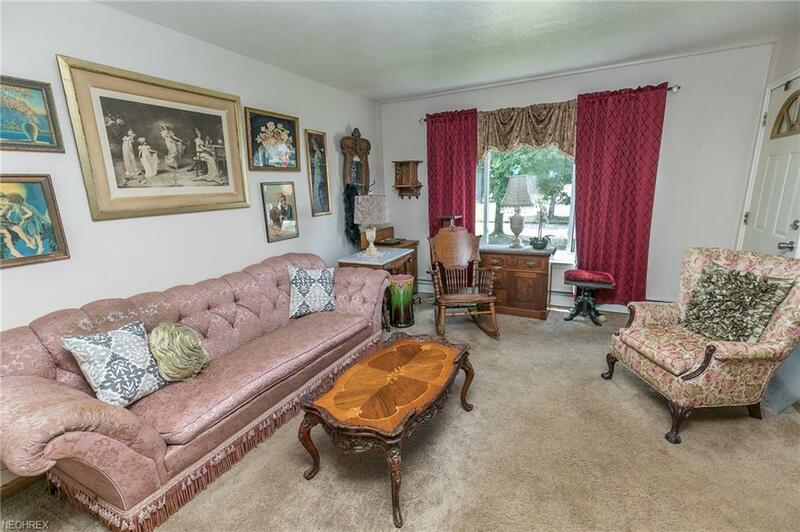 There is a floor to ceiling stone fireplace in the Family Room as well as an additional Living Room for entertaining. 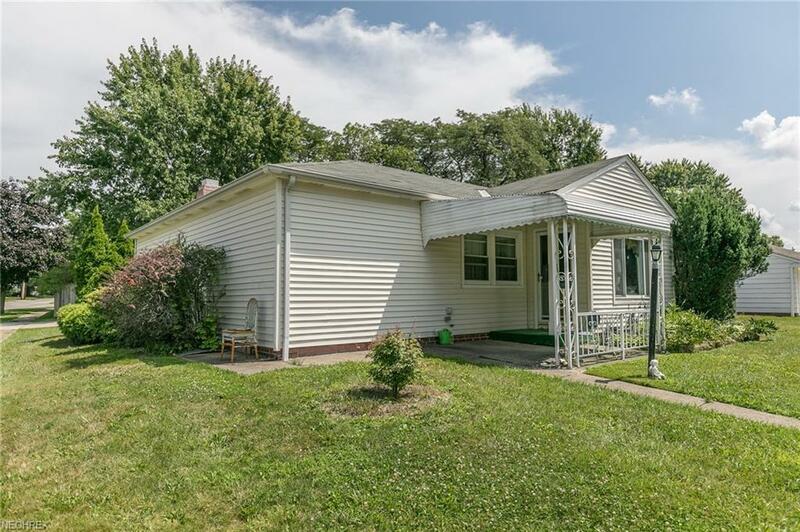 Outside, there is newer vinyl siding, windows, and driveway. There is a covered patio for outdoor entertaining. 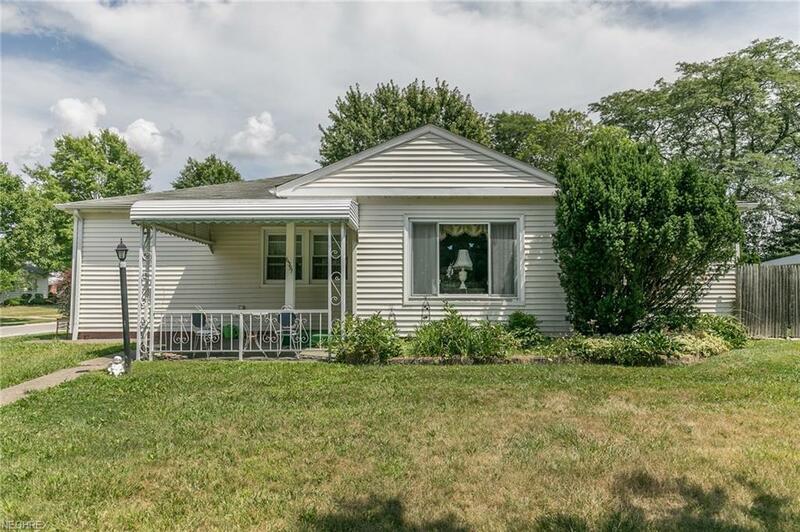 It is on a corner lot with partial privacy fencing, garage with plenty of storage, and even additional storage in the shed. Call today for a private showing!